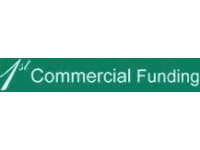 Having evolved over many years within the financial sector, 1st Commercial Funding is now one of the leaders in the field of commercial and buy to let funding. With wide ranging expertise in all areas of lending and facilities, we are able to suit the individual needs of all organisations from Convenience stores to industrial estates and buy to let properties, that may be looking to start, expand, refinance or develop their business. We are here to assist you achieve your goal. Over the years, strong bonds have been formed with all commercial divisions of the lending market place that enable us to submit your own personal requirements on a real and individual basis, thus ensuring a tailor made package designed specifically for you, our Client. Lenders include all of the household names together with other leading institutions specialising in all aspects of lending. Our ultimate aim is to secure the best deal the market has to offer for you, our client.